Timber 17th century with later additions. Elm headstocks with strap gudgeons, stock hoops and plain bearings. 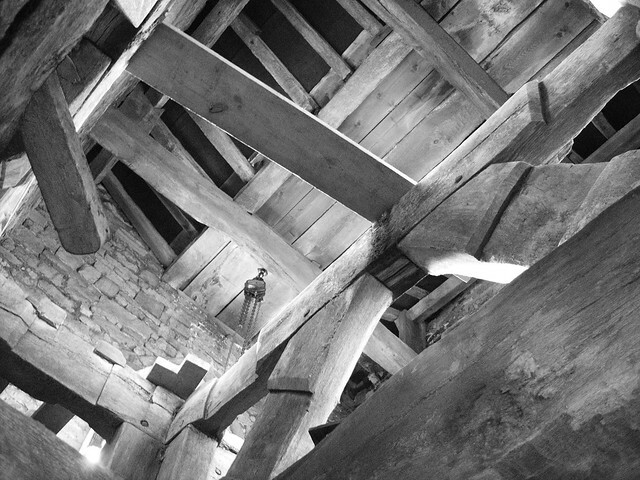 The picture above was taken in February 2009 and shows the old wooden bell frame when still in the tower. A condition of much of the grant money was that the old frame should be preserved. A suitable tower to house the frame could not be found, so the frame was dismantled and re-assembled in one of the barns at Horton Farm, Horton. The farm is owned by Mr Rex Isaac the Tower Captain. 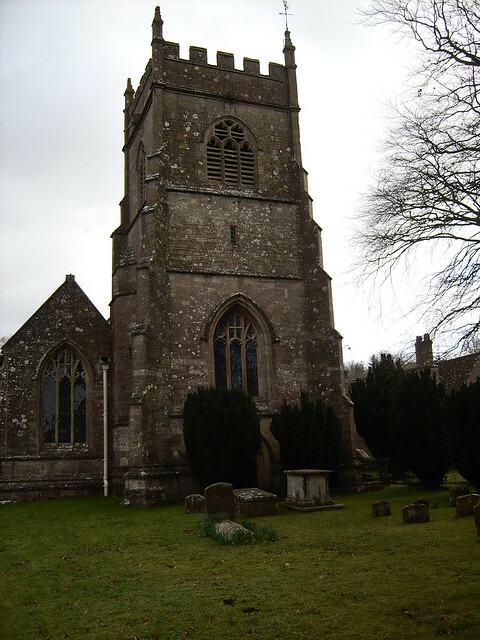 The first recording is of the tower and bells before augmentation, tuning and rehanging. The second recording shows the test ring which took place in December 2010.